Although Barcelona pictures are in high demand, especially buildings or street photos, I remind you that this blog is always open to other topics that may seem irrelevant sometimes. Such is the case of flowers, assorted objects or animals I find along the way. Moreover, as specified in the description on top there is the possibility of including neighboring towns and by that I mean any place in Catalonia i.e. the Spanish authonomy or the country (according to the political thoughts of its inhabitants) of which Barcelona is the capital. 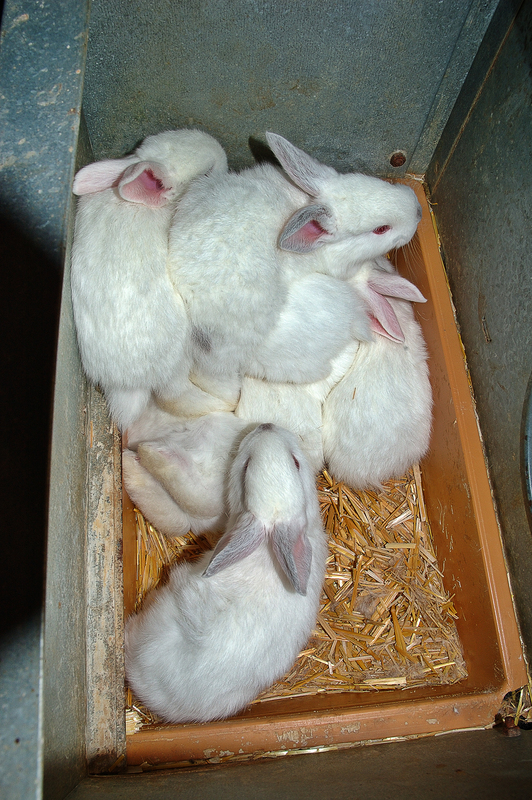 Once said that I wanted to show you a nest of baby rabbits in a small friend's farm in Vallverd, Lleida (map), one of the four Catalan provinces. Everyone knows rabbits but all of them together waiting for mummy in the cage next door to feed them seemed cute enough to portray and a way to shake you off the architectural hypnosis I exposed you to in the last posts.